Estimating the distance using two images obtained from two slightly different angles is one way to construct a depth map. The human brain actually does so using input from the eyes. This binocular cue is one of the main features in construction of volume in human vision. This approach works mainly for objects that are situated close to the eyes, so it is essential in stereo processing: of greatest interest in 3D video are foreground objects and their depths. 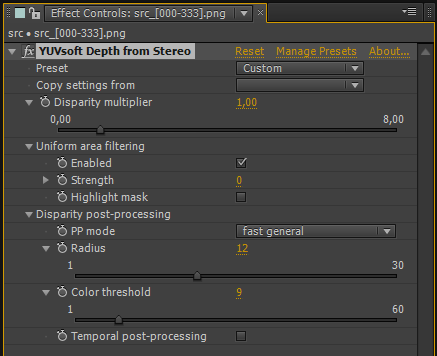 The YUVsoft Depth from Stereo tool takes the stereomate as input and yields the disparity maps, which reflect shifts in objects contained in the stereomate. The less the object’s shift between the two angles, the greater the distance to the object. The output is the pair of depth maps for each input stereomate. Depth maps are widely used in stereoscopy: stereo generation, stereo processing and stereo-to-multiview conversion all use disparity. Thus, depth maps obtained from YUVsoft Depth from Stereo can be used to generate 3D video with different parallax values relative to the source video. You need only apply the Parallax Correction tool to the output depth maps obtained using Depth from Stereo. 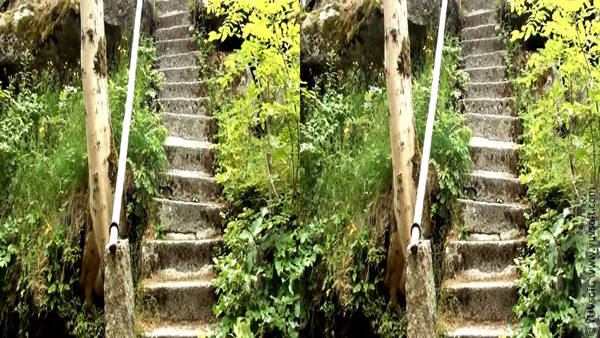 Another application of this algorithm is stereo-to-multiview conversion. 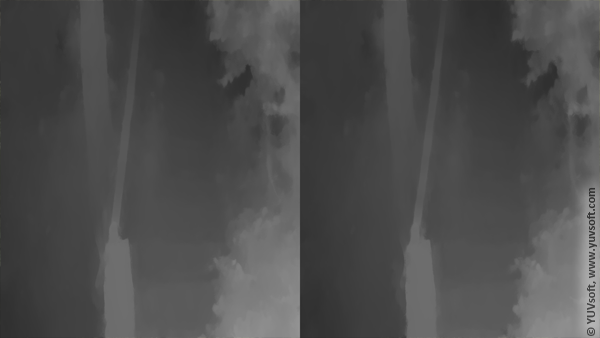 In this case, you receive better results when you use a pair of depth maps for the each frame. This approach shifts the generated views precisely, creating a smooth transition between them—a key to obtaining high-quality multiview images. Available options include Disparity (depth map) multiplier, which allows you to increase coding precision and to consider object shifts of up to a quarter pixel; Temporal post-processing, which increases the depth stability over time; and spatial filtering, which increases the spatial stability. The filtering radius is user defined. All processing is performed automatically; you need only select the filtering mode where applicable. The input for Depth from Stereo is the source stereomate sequence. You then receive the depth map video sequence as the output.